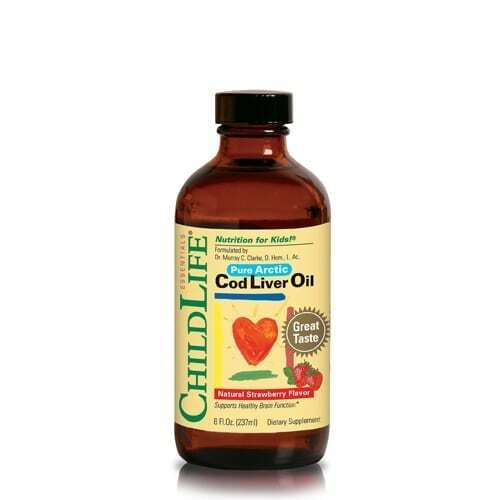 Cod Liver Oil, providing the Omega-3 oils and DHA, can be given to support and nourish your child’s physical, emotional and mental well-being at all ages. Ideally, it should be a part of every child’s daily routine. As children grow, develop and mature, we can be looking out for and nourishing their growth on many dimensions. These dimensions and aspects of their being include their physical, emotional, mental and spiritual well-being. Each one of these aspects will affect the others, as they are all intimately connected. On a purely physical level, it is an infant’s and child’s food, nutrition and diet, which will be the major factor in determining their health, strength and integrity. Contained within their foods are carbohydrates, fats, oils and proteins. Within these carbohydrates, fats, oils and proteins are vitamins, minerals, fatty acids and amino acids. It is these vitamins, minerals, fatty acids and amino acids that then become the raw materials, the actual building blocks that every cell, tissue and organ in each child’s body and brain require to grow, develop and to function properly. We have to constantly remember that infancy and childhood growth is a very delicate time. Children are human beings “under construction.” In many ways, they are working much harder than we are as adults. As adults we need to eat enough food each day to make enough energy to perform our daily tasks and responsibilities. Children require food and nutrients to go about their daily activities, school and functions, as well as grow bigger each day. This combination of bodily growth and functioning at the same time creates an increased need and importance for the building blocks of life – the vitamins, minerals, fatty acids and amino acids. This increased need for these nutrients is also demonstrated when we look at how much children eat compared to adults. When we compare children to adults, pound for pound, body weight, we see that children on average eat approximately three times as much food as adults. Over the past fifty years as these vitamins, minerals, fatty acids and amino acids have been studied, researched and understood, they have become classified and known as the “Essential Nutrients” by the National Academy of Sciences. The term “Essential” is not given lightly. Nutrients are only classified as “Essential” when there has been enough research to conclusively show that they are so important and so involved in so many critical functions in our body and brains. “Essential” also means that any lack of, or deficiency in any one of these essential nutrients, will have a consequence where it may compromise both the development and functioning of a child’s body and brain. “Essential” means essential for growth, essential for health, essential for life, to be fully expressed. The very building blocks of life itself. Vitamins: Vitamin A, Vitamin B1, B2, B3, B5, B6, B12, Folic Acid, Biotin, Vitamin C, Vitamin D, Vitamin E, Choline, Vitamin K.
Minerals: Calcium, magnesium, sodium, potassium, copper, iron, manganese, chromium, selenium, sulfur, iodine, fluorine, molybdenum, silicon, cobalt, tin, nickel, vanadium, phosphorous, chlorine. Amino Acids: Arginine, histidine, leucine, isoleucine, lysine, methionine, phenylalanine, threonine, tryptophan, valine. Fatty Acids: Omega-3, (Linolenic Acid), Omega-6, (Linoleic Acid). The dilemma that most parents are faced with in today’s world is two-fold. On one hand, it has become increasingly difficult to provide your child with all the essential nutrients they need through their foods and diet. This is due to the fact that as the world’s soils have become depleted through modern farming methods and increased population demands, the foods grown in these minerally-depleted soils now also have less nutrient content. This situation is then complicated by the over-manufactured, over-processed fast foods and simply junk foods, that all children are exposed to and all parents have to contend with. We then add into this conundrum the degree of toxicity and pollution that each child is exposed to growing up in any major city of today’s world. Looking at this, we realize that the amount of environmental toxicity actually increases the need for all these “essential nutrients” for protection and detoxification. 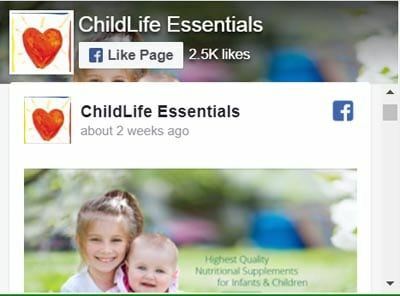 Understanding this paradigm, we then begin to realize the significance and importance, the place that these vitamins, minerals, amino and fatty acids play in establishing and ensuring your child’s foundation of health. In the polyunsaturated oil category, sunflower, sesame and safflower are good choices. For supplementation and to ensure your child receives the “essential fatty acids” that are so important for supporting their brain’s growth and development, Cod Liver Oil is our first choice. Flaxseed Oil, a vegetarian option, is an Omega-3 oil alternative. The Omega-3 oils are derived primarily from fish and from flax seeds in the plant world. The Omega-6 oils are found in evening primrose and borage seeds. Why Are The Omega-3 Oils So Important for Children? Understanding when and how the brain grows leads us to understanding how essential and important the right fats, oils and especially DHA are in infancy and childhood to support this growth. This is why we see studies like this one from J.Pediatrics, Jan, 2003 that showed that when mothers supplemented their diet with Omega-3 DHA during pregnancy and also while nursing their baby, that it actually increased the child’s IQ by the age of four. 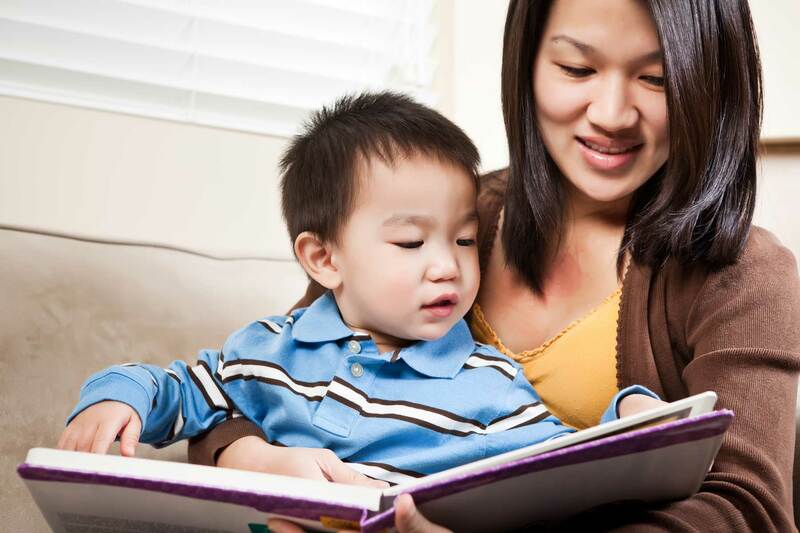 Imagine, one nutrient, the “essential fatty acid” DHA, being able to improve your child’s mind and consequently their abilities, for the rest of their life. Why is Cod Liver Oil the First Choice for Supplementing with Omega-3’s and DHA? It turns out that so many parents in so many countries and cultures around the world must have intuitively known that Cod Liver Oil is the perfect brain and immune food for children. This is why there is such a widespread history of parents around the world giving their children Cod Liver Oil. It was really the world’s first and original dietary supplement. Now we know that Cod Liver Oil contains the highest naturally occurring concentration of DHA than any other food source. In addition, it contains Vitamin A and Vitamin D: Vitamin A, (retinyl) so important for the development of the eyes (retinas) and Vitamin D so important for healthy bone and immune system development. From this one source of Cod Liver Oil, we can provide the primary nutrients required for brain growth, eye development and bone structure. 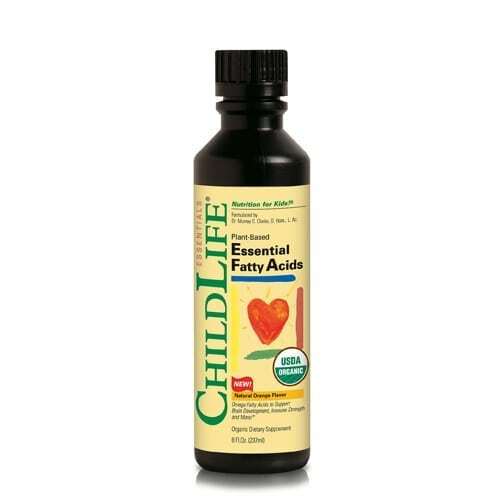 In total, these two Essential Fatty Acids, and in particular the DHA, found in Cod Liver Oil, are the primary nutrients and building blocks for our own and each child’s internal bodywide-internet communication system. They are the primary nutrients that our “hardware”, the brain and central nervous system is constructed from, and they are also the primary nutrient that our “software”, the prostaglandin/communication hormones, are made from. It is these prostaglandin hormones which assist and facilitate communication between all of our body’s individual cells and organs. These are both Omega-3 oils and are both widely available in the health supplement market. The primary difference is that Cod Liver Oil contains DHA already ready to be absorbed and utilized by our bodies. The flaxseed omega-3 oils need to be taken into our bodies and then converted into DHA. This conversion requires other nutrients like Vitamin B3, magnesium and zinc so depending on each child’s nutritional status and what is happening in their bodies that day, part of the flaxseed oil, may or may not be converted into the DHA and made available for use. This is not to say that flaxseed oil is not beneficial and another wonderful Omega-3 oil with many benefits. 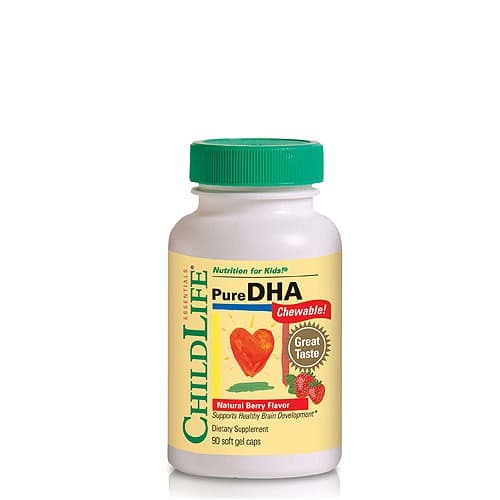 It is just this one aspect of DHA conversion that makes it different from cod liver oil. The other important qualities to be aware of and to evaluate in choosing to supplement your child with these oils is the cleanliness and purity of the oils. Unfortunately, the oceans of our world, and consequently the fish that live within them, have become as polluted as the earth which we walk on. In particular, the pollutants that have been accumulating in the oceans and fish are the metals like mercury, arsenic, lead and chemicals including PCB’s and dioxins. When supplementing your child with any fish oils or cod liver oil, it is therefore critical that the product and label state that it has been tested for these toxins, purified and established to be free of detectable amounts of all of these substances. When choosing a flaxseed oil, it should always be certified organic to ensure purity. As the studies show, cod liver oil, providing the Omega-3 oils and DHA, can be given to support and nourish your child’s physical, emotional and mental wellbeing at all ages. Ideally, it should be a part of every child’s daily routine.